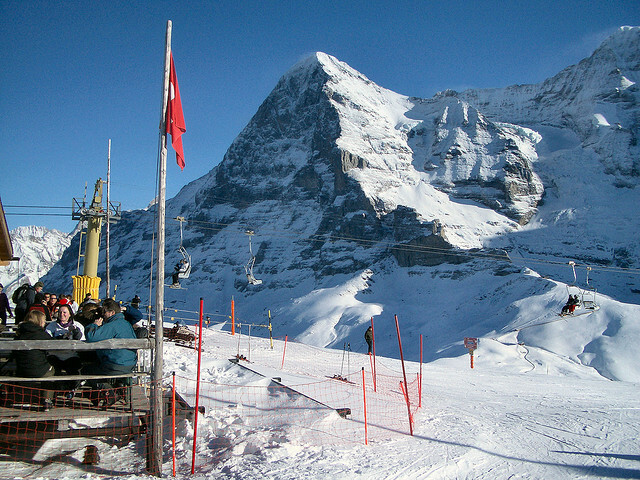 There are many reasons why you might choose Bern as a starting point for a winter sports outing. If you are living in the city as an expat you are sure to want to try out the world's best ski and snowboard destinations during your assignment, and if you are here on business it seems a shame not to take at least a day out to visit the slopes. The nearest Alpine resorts to Bern (or Berne, as it is sometimes spelled in the English-speaking world) are less than an hour away, and getting to the resorts is a doddle. Bern lies at the heart of an efficient road network and the public transport is quite simply the best in the world. I occasionally use the car, but for most of the 70-odd resorts I have skied in I have relied upon public transport and, despite the sometimes multiple connections, I have only ever missed one connection. Furthermore the getting there, and back, has been for me a large part of the enjoyment of a day out in the mountains using public transport. There is no stress, indeed the trip out there is therapeutic and the journey back is a great opportunity to enjoy some apres ski beers as the most amazing backdrop passes by. Incidentally for one, two and six day outings, Swiss Rail runs the outstanding Snow'n'Rail scheme with significant discounts on both public transport and lift passes. I won't go too much into the ins and outs of travelling within Switzerland - individual resort pages provide more detail for each resort, but I will include here a selection of resorts that you may want to visit from Bern. Click on column heads to sort the resorts.